How does one come to appreciate, let alone enjoy, a new genre of music? Despite the cries that ring out from some musical essentialists, it is my belief that the enjoyment of new, as yet un-grappled-with types of expression can be developed. As many of the writers and perusers of this site will tell you, a love of free jazz didn’t just spring out of the soil one happy day - it took considerable time and effort, an investment of interest and a willingness to occasionally put oneself at the mercy of tones, timbres and textures that were often downright ugly. But soon, the effort paid off; familiarity helped round the edges, so to speak, and the oblique, forbidding architecture that makes up so much of free jazz began to slope and curl its way into shapes that could arrest us, captivate us, leave us foaming at the mouth in anticipation of more. The critical viewpoint played its role as well. While much of free jazz is seemingly senseless on first listen, the astute observations of many a free jazz critic were instrumental in giving us a foothold, so to speak - by fixing a grid atop the swirling chaos, we suddenly had some coordinates with which to find our place. The development of enjoyment doesn’t just move in one direction, either; doubtlessly, some of our readership started with the strong stuff, imbibing Sun Ra, Coleman, or late-period Coltrane before eventually working their way back through the ‘60s and ‘50s to arrive, like battle-hardened generals returning to the scene of the first fight, at the earliest jazz recordings of the ‘30s and ‘40s. And, once again, enjoyment didn’t just spring up. After a diet of fiery, intense free improvisation, the bouncing sounds of Duke Ellington and His Orchestra are like another planet, with all of the dread and uncertainty that that implies. The reason I make this preamble is that I, personally, have not yet found a good entry-point into electro-acoustic improvisation (often simply called EAI). While I’ve been exposed to a fair number of the genre’s respresentative recordings, there has been nothing to grab me and give me that “aha!” moment - that split second when everything falls into place and the sounds begin, little by little, to open up and make themselves known. 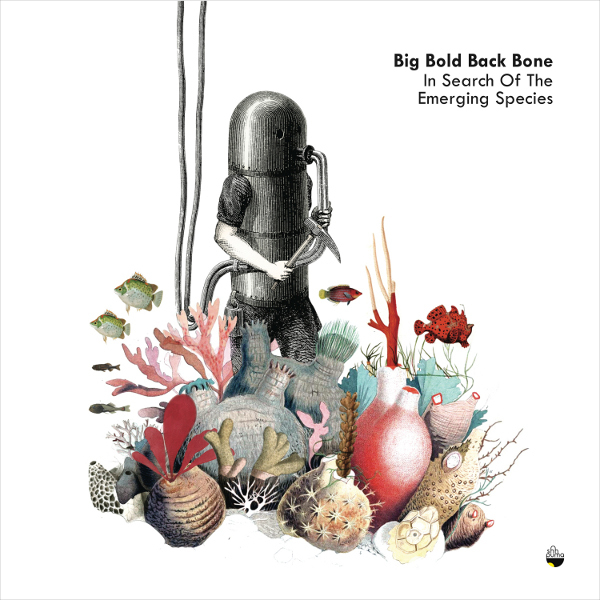 Big Bold Back Bone’s debut on Clean Feed, In Search of the Emerging Species, while not explicitly an EAI record, has enough stylistic overlap with the genre to have been a cause for concern for me - would I have anything meaningful to say about it? Would it just be wind in my ear? In any case, I decided that the path to enjoyment had to start somewhere, and it may as well start here. A quartet, Big Bold Back Bone features Marco von Orelli on trumpet and slide trumpet, Sheldon Suter on prepared drums, Luis Lopes on electric guitar and other objects, and Travassos on electronics. One thing to note when going into this recording, however, is that Big Bold Back Bone approach their instruments in the same way that I once heard Derek Bailey approached his guitar - as an alien artifact, a found object without context or connotation, a tool with which one could experiment freely. As such, the focus here is not on making “music” in the traditional sense of the word, but on exploring the sounds that can be constructed when a certain group of people come together at a certain time, in a certain room, with certain instruments and objects at their disposal. As the title suggests, In Search of the Exploring Species is an investigation of possibilities, a circuitous trek, rather than a direct route to some predetermined destination. At an unbroken 43 minutes, it might be feared that the sole piece here, “Immerge,” is a slog to get through, but that’s not true at all. If anything, because of the lightness (volume-wise) of the textures and the relative lack of structured movement, it seems to speed by. It opens with a tentative series of knocks from Suter’s kit, some hard-to-pinpoint rubbery scrapes, von Orelli’s metallic gurgles, and the softly roiling static of Lopes’s electric guitar. Meanwhile, Travassos provides some high-pitched tones that, due to their relative faintness, fall somewhere between bird-song and the whine of drills. From this initial setting, deviations seem to occur in imperceptible waves - notably, von Orelli treats his trumpet as an open canvas of sorts, extracting all manner of timbres from its body: hollow sussurations, watery burbles, dry crackles. At some point, Suter moves from the more forceful pops and taps of the opening to cymbal-work that casts an uneasy shadow over the entire piece, and Travassos follows suit with cavernous electronics that open up the bottom and threaten to submerge everything. Lopes is ever-subtle, preferring to use his guitar as a textural device - from staticky drones to unsteady scrapes, he’s continuously in service of the overall tone of the piece. In fact, one of my abiding impressions of “Immerge” is that no single player seems to dominate the proceedings; in the spirit of the best free improvisation, the individual sounds bleed into each other, mixing and melding in ways that help to elevate the whole. Interestingly, the final ten minutes of the track find some of the musicians getting close to something that might be called “traditional music-making.” Lopes produces open notes that ring out with astounding clarity after the muffled drones of the preceding half-hour, and von Orelli emits a series of, well, trumpet-like tones. Suter engages in glacial, abstract percussion-work, and Travassos murmurs quietly in the background, a constant presence that never makes itself unduly felt. By the time “Immerge” comes to a close, I feel that I have gotten ever closer to understanding the world of electro-acoustic improvisation - if I’m not yet putting every release from the Erstwhile label in my Discogs shopping cart, I’m at least considering the possibility. 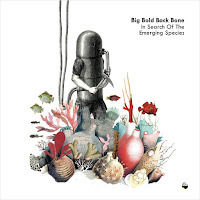 At a brisk 43 minutes, and with a variety of textures and sounds to keep your ears busy, In Search of the Exploring Species is a better place than any to get started on a new journey of musical enjoyment. And as a selfish addendum - feel free to post recommendations for more of this type of music in the comments below! Er, well, what do you think of Skiagraphia (recently on Creative Sources)? That's a great album. I'll be sure to check it out! Thanks for the rec. There are a lot to suggest, i would definitely recommend Spin Networks by fORCH on Evan Parker's psi label.